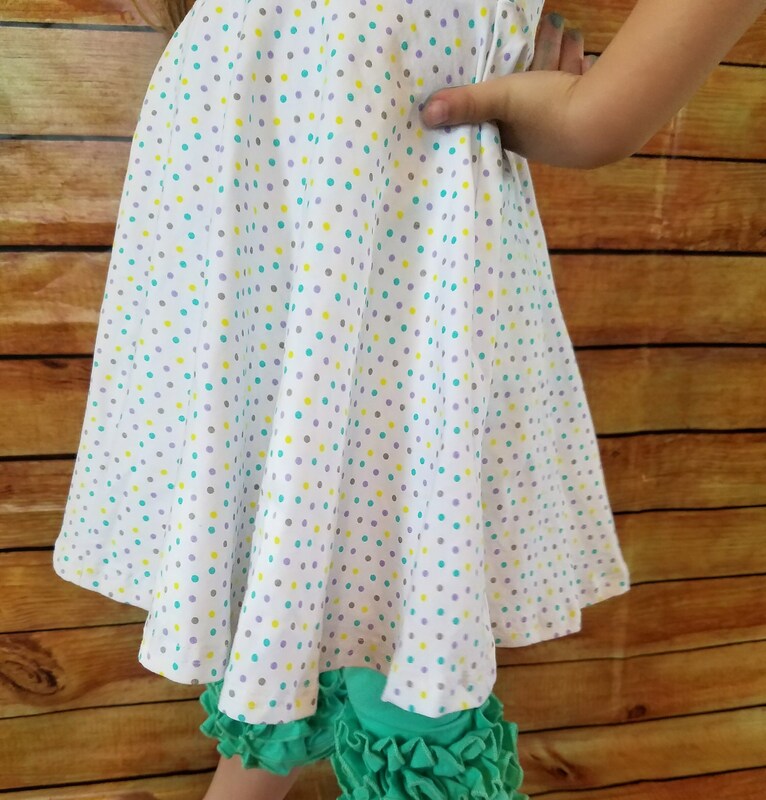 Emma Twirl Dress, Toddler and Little Girls Dress, Soft Cotton, Girls Dress, Little Girls Clothing. 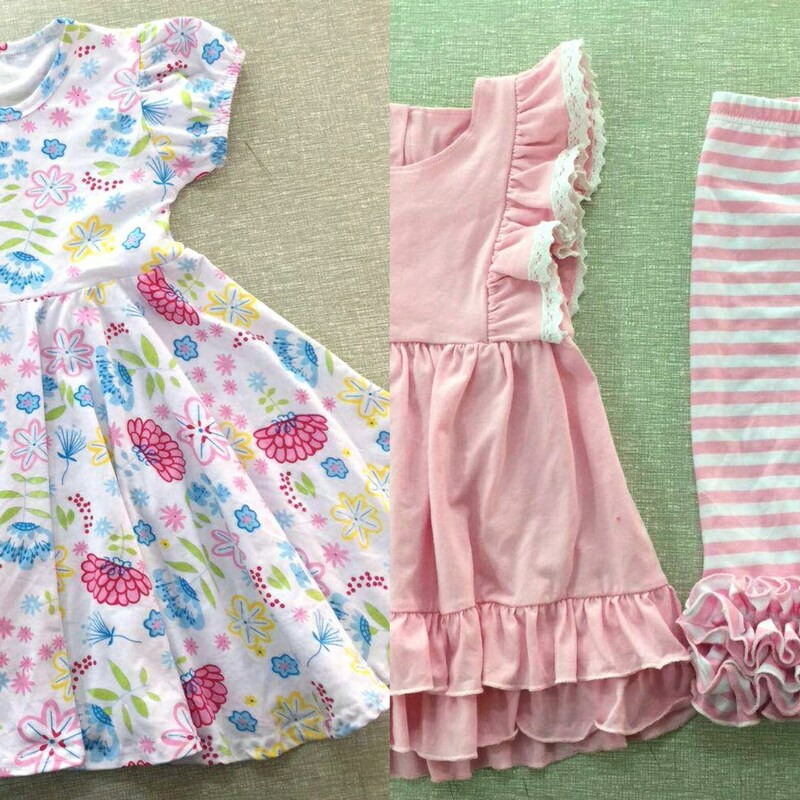 Keep it simple for everyday or dress it up with cute accessories! 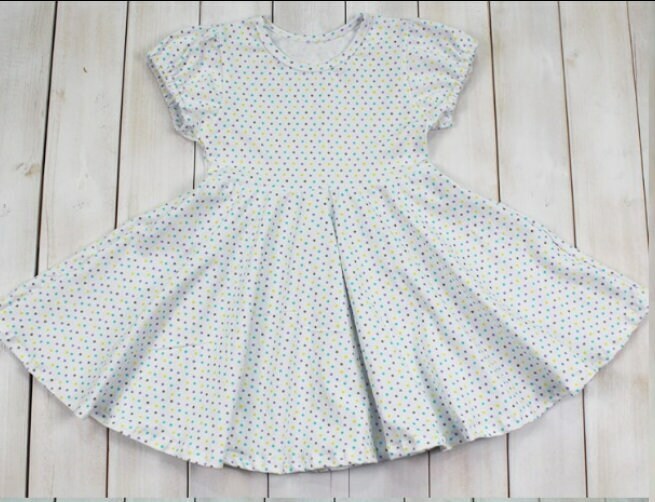 A Beautiful Annaree Rose Girls Soft Cotton, Emma Twirl Dress in a cute polka dot print. 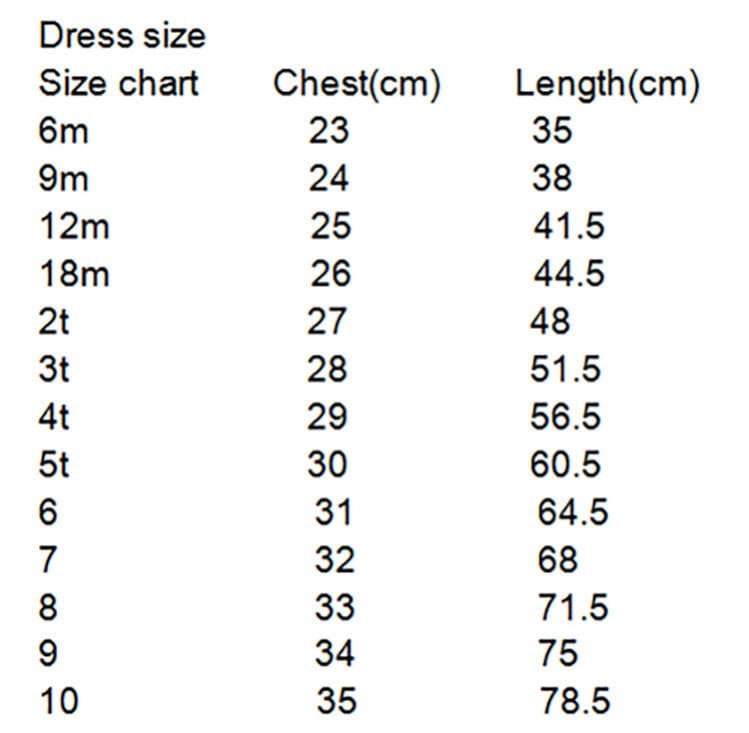 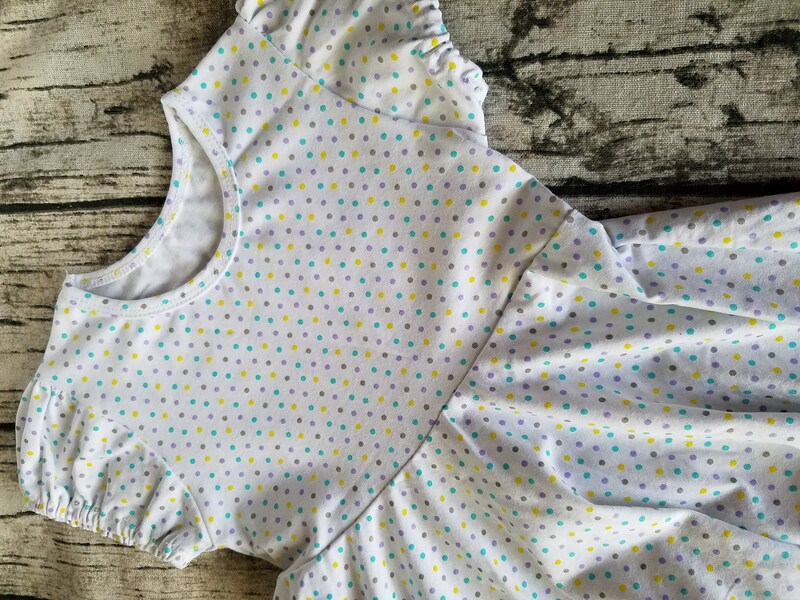 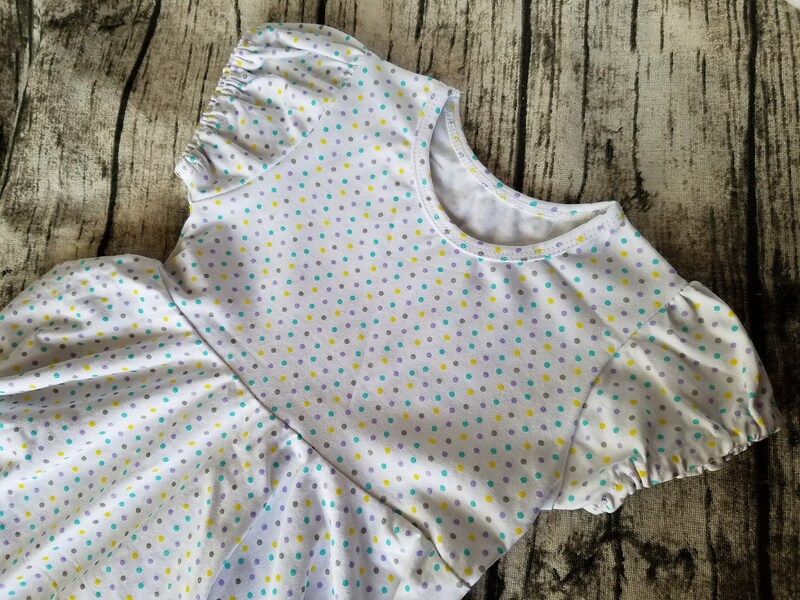 This listing is for the multi colored dot Emma twirl dress only. 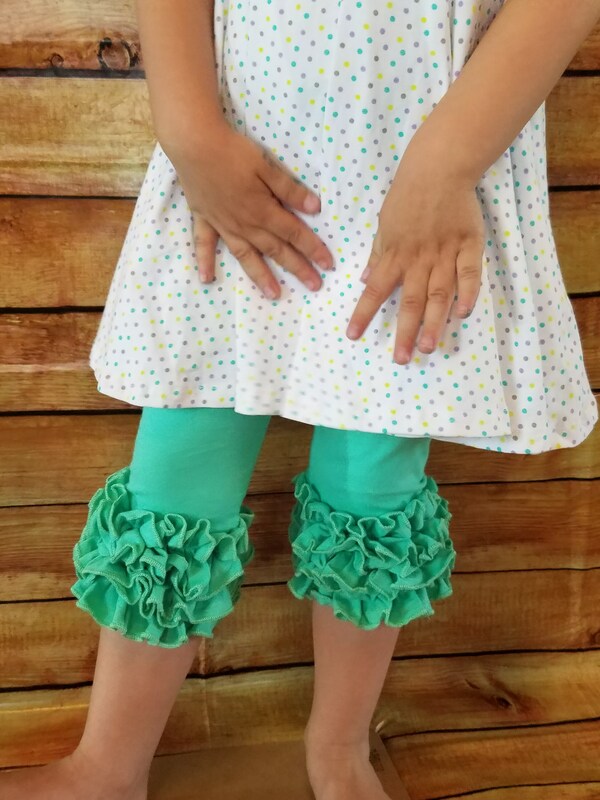 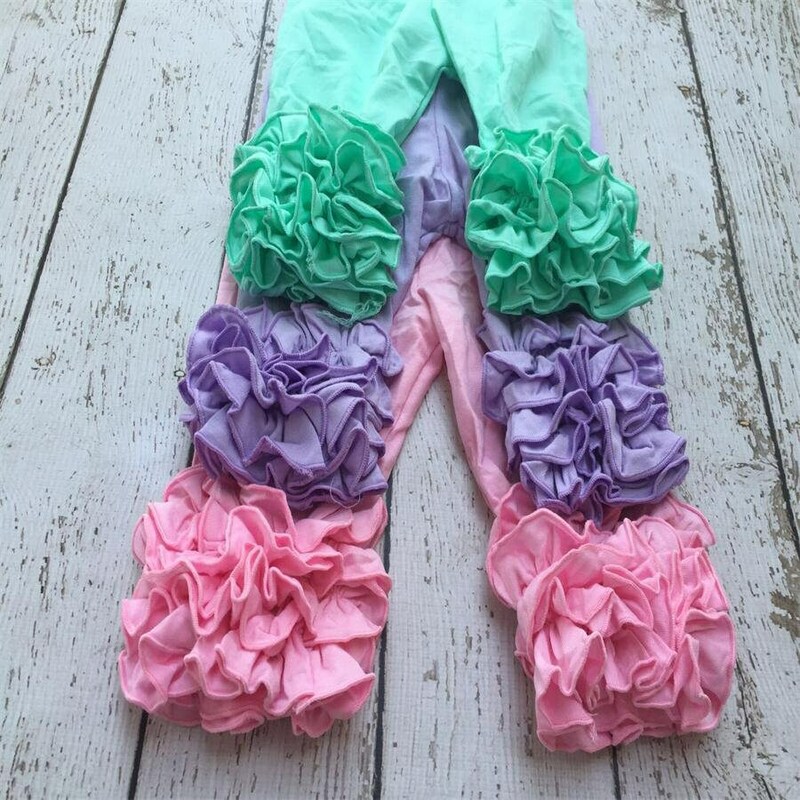 Mint green ruffle capris are available in another listing.